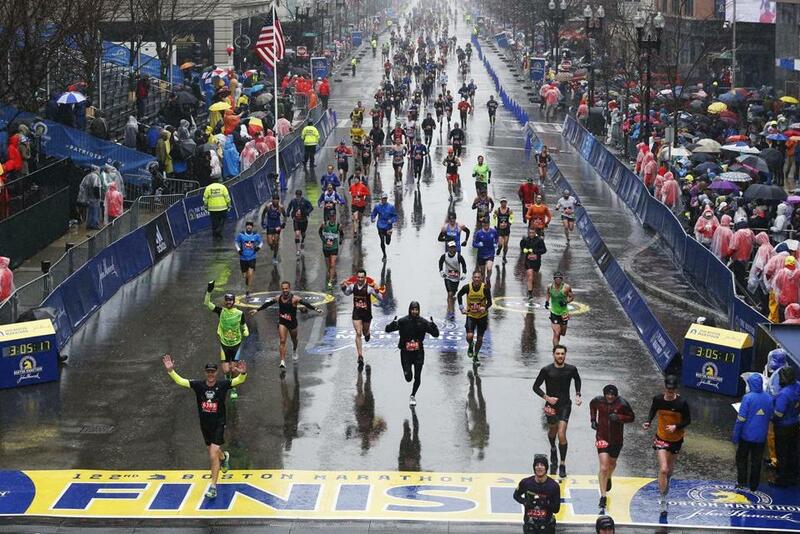 Runners crossed the finish line of the 122nd Boston Marathon. On April 15, Boston will be packed with marathoners and spectators for the 123rd annual Boston Marathon. 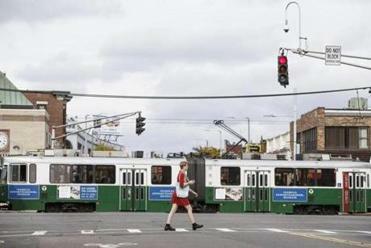 City officials recommend riding the MBTA, hopping on a Blue Bike, or walking to get around the city on Marathon Monday. But if driving is your transportation method of choice, below is a list of the street closures starting as early as 3:30 a.m. You’ll also want to check out the parking restrictions leading up to and the day of the Marathon. Boylston Street is expected to reopen at 8 p.m. with all other streets expected to reopen at 7 p.m.
■ Hopkinton from 7 a.m. to 1:30 p.m.
■ Ashland from 7:15 a.m. to 1:45 p.m.
■ Framingham from 8:30 a.m. to 2:15 p.m.
■ Natick from 8:30 a.m. to 2:45 p.m.
■ Wellesley from 8:30 a.m. to 3:15 p.m.
■ Newton from 8 a.m. to 4:15 p.m.
■ Brookline from 9 a.m. to 5:15 p.m.
■ Boston until 6:30 p.m.